Foreword by Anatoliy Chakkaev (@1602), the creator of CompoundJS and JugglingDB. 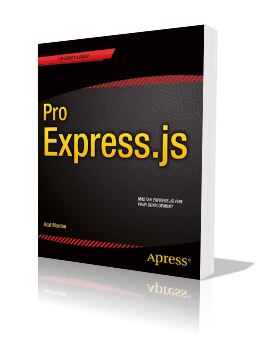 In this part we’ll briefly go over what is Express.js, install it, build a few simple applications and begin to touch on configurations. Hands-on REST API servers with NPM libraries (superagent, Mongoose, Mongoskin, Mocha)third-party services (Storify API, AngelList), databases (MongoDB) and front-end clients (Backbone.js). 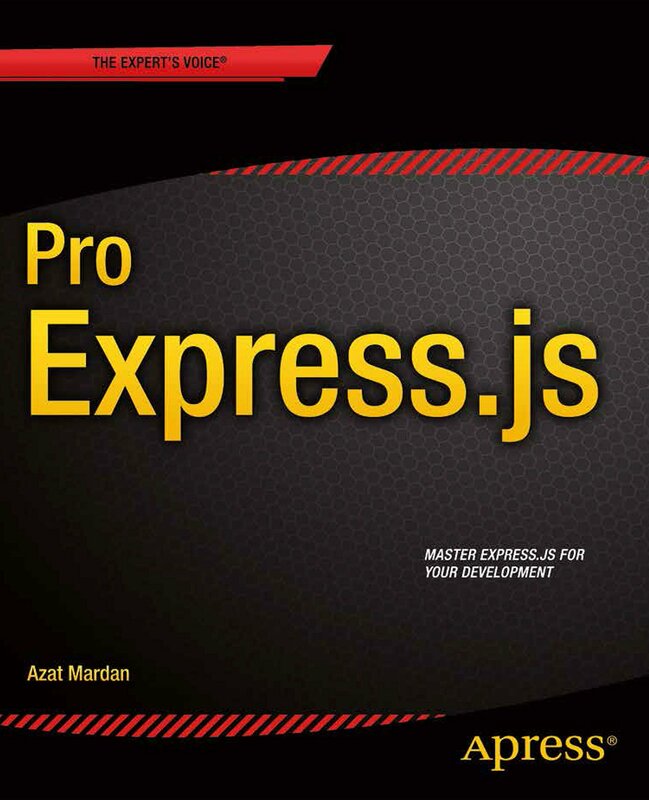 @azat_co I'm new with expressjs and find this book very useful! Good examples, and good for kindle users too. Currently, Azat works as a Team Lead / Senior Software Engineer at DocuSign, where his team rebuilds 50 million user product (DocuSign web app) using the tech stack of Node.js, Express.js, Backbone.js, CoffeeScript, Jade, Stylus and Redis. Recently, he worked as an engineer at the curated social media news aggregator website, Storify.com (acquired by LiveFyre) which is used by BBC, NBC, CNN, The White House and others. Storify runs everything on Node.js unlike other companies. 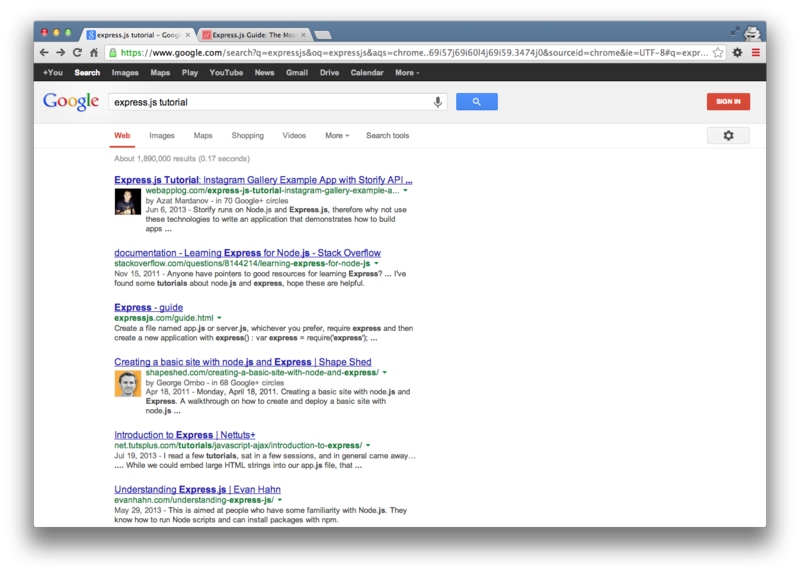 It’s the maintainer of the open-source library jade-browser. Before that, Azat worked as a CTO/co-founder at Gizmo — an enterprise cloud platform for mobile marketing campaigns, and has undertaken the prestigious 500 Startups business accelerator program. Prior to this, Azat was developing he developed mission-critical applications for government agencies in Washington, DC, including the National Institutes of Health, the National Center for Biotechnology Information, and the Federal Deposit Insurance Corporation, as well as Lockheed Martin. Azat is a frequent attendee at Bay Area tech meet-ups and hackathons (AngelHack hackathon ’12 finalist with team FashionMetric.com). In addition, Azat teaches technical classes at General Assembly, Hack Reactor, pariSOMA and Marakana (acquired by Twitter) to much acclaim. In his spare time, he writes about technology on his blog: webAppLog.com which is number one in “express.js tutorial” Google search results. Azat is also the author of Express.js Guide, Rapid Prototyping with JS and Oh My JS; and the creator of open-source Node.js projects, including ExpressWorks, mongoui and HackHall. Pro Express.js © 2014 Azat MardanAll rights reserved.